In Santa Rosa, California, Dr. David E. Marcus specializes in breast surgery such as breast implants, breast reduction, breast lifts, and more. Dr. Marcus’ extensive training makes him the go-to doctor for breast plastic surgery that goes above and beyond patient expectations. Other procedures at this San Francisco area clinic include facelifts, laser skin resurfacing, liposuction, and tummy tucks. On top of his warm personality, patients favor Dr. Marcus for Santa Rosa area plastic surgery for his impressive training. After graduated from Michigan State University in 1976, Dr. Marcus earned his medical degree from the prestigious Wayne State University. He continued to expand his medical knowledge with a residency and fellowship at William Beaumont Hospital in Detroit, where he worked alongside industry experts. He also completed a Microsurgery fellowship at Southern Illinois University. Today, Dr. Marcus prioritizes maintaining updated knowledge on plastic surgery and aesthetic developments. 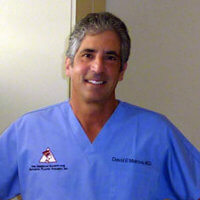 He is certified by the American Board of Plastic and Reconstructive Surgery. Dr. Marcus looks forward to meeting patients from Santa Rosa, Sebastopol, Healdsburg, Windsor, Marin, and other California cities for a complimentary consultations. Contact our representatives now to start booking. Contact us to arrange a private consultation with Dr. David E. Marcus today.